We’re producing and duplicating the limited edition CDs for this exciting project curated by Rachel Marsden. 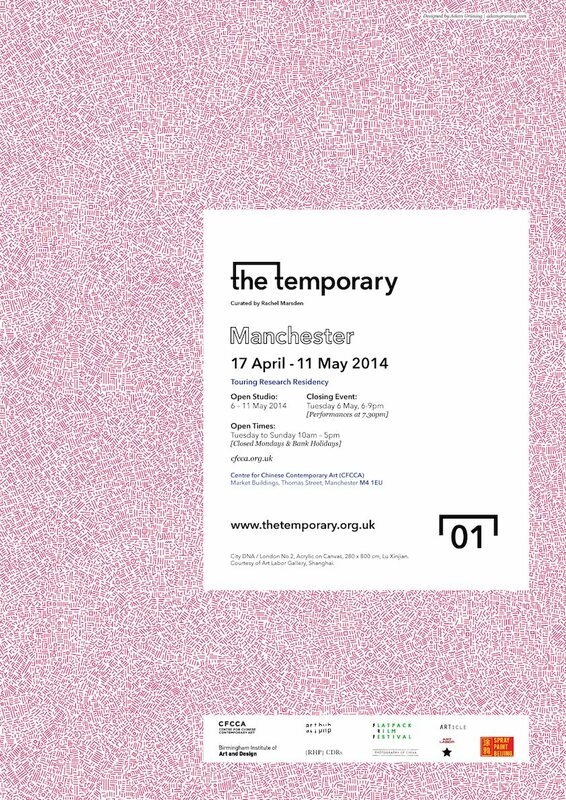 ‘The Temporary’ is a new transcultural exchange platform and social intervention space examining the notion of “temporary” experience in art, architecture, design, music, sound, performance and culture between China and the UK. Transitory and momentary happenings in which art, exhibitions, events, performances, spaces, buildings and architecture are produced and developed, opened and closed, created and destroyed, and only in part documented for the future, have defned what has been coined as China’s century. ‘The Temporary’ aims to be refective of this fast-paced global change whilst critiquing curatorial methods of display in China, where exhibitions and projects develop, happen and disappear frenetically in line with the country’s rapid pace of socio-economic change, in contrast to the UK where they are largely embedded within logistical planning, institutional infrastructures and formal systems of display. 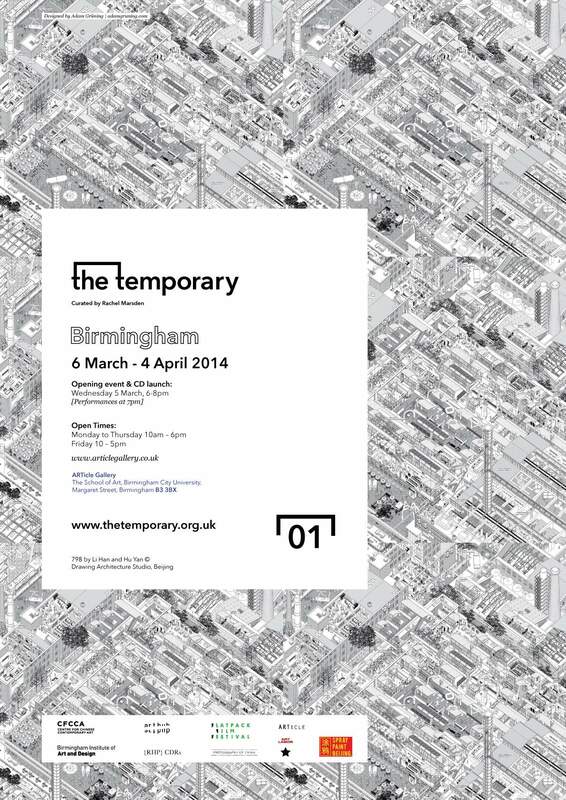 Taking place in Birmingham and Manchester, ‘The Temporary: 01’ is the inaugural exhibition, examining “temporary” daily negotiations of space and place within cityscapes, including Beijing, Shanghai, Guangzhou, Hong Kong, Tokyo, New York, London, Birmingham, Manchester, LA, Wolverhampton, Stoke-on-Trent, Bristol, Rimini, Berlin, and Amsterdam; architectures (of change) and urban development, and the infuence of sound on experiences between China, East Asia and the West, through collaborations between artists, photographers, architects, designers and musicians. Furthermore, it is the practical presentation and outcome of fve years of PhD research by Rachel Marsden into the translation through interpretation of contemporary Chinese art in the West since 1980, specifcally the notion of a transcultural curator and transcultural curatorial practice, in addition to her experiences of living, working and researching in China, largely Shanghai, from 2009 to 2012.